We find that a lot of people are confused about title insurance, and why they need it. Here are some common questions we get asked. Although most attorneys will encourage their clients to purchase title insurance, quite often the buyers walk away from the closing table with little understanding of what they just paid for. “Title” refers to evidence of ownership and possessory rights in real property. Title insurance provides coverage against losses incurred by reason of someone asserting claims against your ownership rights. In general there are two types of title insurance policies; the Owner’s or “Fee” Policy, which insures the purchaser’s rights in the property, and the Loan Policy, which insures a mortgage lender that it has a valid, enforceable lien on the property. Additional coverage is available for other interests in real property, such as Leasehold, Contract Vendee and Option insurance. Title insurance differs from most other types of insurance in that its primary goal is to prevent losses arising from defects that have occurred in the past, prior to the policy date. 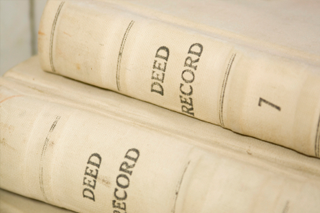 Risk reduction is accomplished by means of an intensive search of the public records to determine what liens, encumbrances or adverse rights exist with respect to the subject property. Issues disclosed by the search are either eliminated prior to issuance of the policy or excepted from coverage. Purchasing a new home or commercial property may very well be one of the largest financial investments you’ll ever make. For a one-time premium an Owner’s Policy of title insurance is a means of protecting yourself from financial loss should a problem arise regarding the ownership rights of your property. In addition, the Owner’s Policy provides coverage for the cost of a legal defense against claims arising from covered defects. The lender requires a title policy. Won’t this protect me also? Most lenders require a Loan Policy when advancing money for the purchase of real property. Typically the borrower is required to pay for the lender’s title insurance. The Loan Policy insures that the lender has a valid, enforceable lien on the property and provides coverage up to the amount of the outstanding debt. Without an Owner’s Policy the property owner has no protection for the equity that exists above and beyond the amount due the lender. Furthermore, title defects that may be of little concern for the lender can create major headaches for the owner. For example, enforcement of an easement or right of way over the property has little impact on the ability of the lender to enforce its debt but can greatly diminish the owner’s use and enjoyment of the premises. Purchasing an Owner’s Policy ensures that you, the property owner, will be protected. Won’t a title search suffice to protect my investment? Not necessarily. While a comprehensive examination of title forms the basis of issuance of a title insurance policy, there could be “hidden” defects that a search would not reveal. Fraud, forgeries in the chain of title, unrecorded instruments or indexing errors in the recording office are just a few examples of issues that may not be disclosed by an abstract of title. The abstractor may have taken the utmost care in examining the public record, but without title insurance you have no protection against hidden defects. Perhaps the single most significant benefit of a title insurance policy is the assurance of a legal defense for claims arising from covered defects. Even a bogus, unfounded challenge to your title can result in thousands of dollars of legal fees to defend your property rights. With an Owner’s Policy you have the peace of mind that the underwriter will provide legal counsel to defend the title should the need arise. How long will the title search take? It is our objective to issue a title insurance commitment as expeditiously as possible, but never to the exclusion of the accuracy of our work. Be wary of companies promising 24 to 48 hour turn-around times. A proper title search can take many hours, even days, to complete. It must then be examined by a qualified individual to determine what rights and encumbrances impact the title and what issues must be cleared prior to closing. Some large title “mills” are actually outsourcing the reading of searches and preparation of reports. While this may speed the process, it creates a substantial risk for errors and omissions that can lead to claims. Title claims can take years to resolve and are not always settled to the satisfaction of the insured. It’s best to place your trust in a local agent who takes the time and effort to thoroughly review the search and accurately report the results, thereby greatly reducing the risk of impairment or loss of title. We work diligently to provide the best title insurance product available in a timely manner. Title insurance premiums in New York are approved and regulated by the Department of Financial Services. The Title Insurance Rate Service Association, Inc. (TIRSA) is licensed by the Superintendent of the Department of Financial Services (DFS) of the State of New York as the Rate Service Organization and statistical agent of the Department under Article 23 of the New York Insurance Law. TIRSA members and their agents are bound to charge premiums in accordance with the currently approved TIRSA Rate Manual. Owner’s Policy premiums are calculated on the value of the property, typically the purchase price. A one-time premium, paid at closing, provides coverage for as long as you or your heirs own the property. Loan Policy premiums are calculated on the amount of the loan.